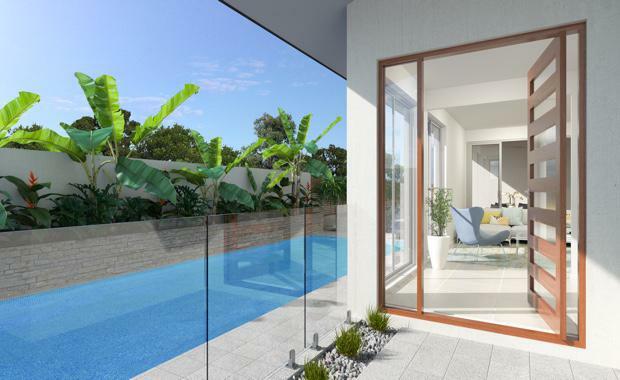 Japanese developer Sekisui House has unveiled its latest home product at the exclusive beachside residential development at The Coolum Residences on the Sunshine Coast. Construction has started on the first six homes in the Affinity collection, which is in stage two of the Cala Luna gated community at The Coolum Residences. Sekisui House Senior Development Manager Evan Aldridge said the six homes have been architecturally designed in a close collaboration between Sekisui House lead designer Mitsuharu Yachi and local company Mode Design. “The premium homes are perfectly suited to their beachside lots and tailored to suit the Sunshine Coast lifestyle. Each design maximises the natural light, ventilation and outdoor entertainment spaces while the interior features open-plan living allowing a seamless connectivity between all rooms. “One of the key elements of the Affinity collection is its range of sustainability features, which is one of Sekisui House’s signature design incorporations. Each home has an 8-star energy rating and includes energy saving solutions such as a 3kW roof solar energy system,” Evan said. The Affinity collection includes a range of single and double-storey four-bedroom homes, with prices starting from $1.1 million. Place Projects director Syd Walker said the Sunshine Coast property market was heating up, particularly homes in the $1m-plus range, which were attracting the interest of local, interstate and international buyers. “The Sunshine Coast’s economy is currently undergoing a transformation as a result of a number of multi-billion dollar projects including the $2 billion Sunshine Coast Public University Hospital which is due for completion later this year as well as the greenfield development of the Maroochydore CBD which turned its first sod this month. “Both of these projects will create thousands of new jobs and attract a significant number of new professional employees to the region. “On a national level, the Sunshine Coast is still relatively affordable, especially to buyers from Sydney and Melbourne, who are seeing the area as excellent value."